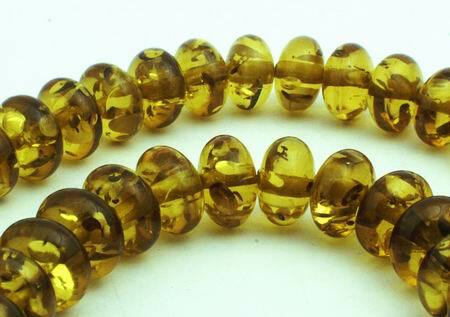 Sorry, we are currently sold out of '80 Sleek Green Amber Rondelle Beads - 8mm'. Please check back later. Price is per 16-inch strand of about 80 rondells - each measures 8mm x 5mm. Slightly greenish color.